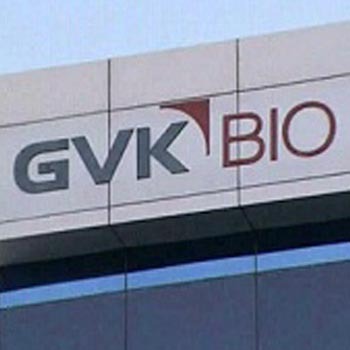 Berlin - German drug regulator has welcomed the European Medicine Agency's (EMA) decision to suspend the marketing authorisation of around 700 generic drugs subjected to clinical trials by India's GVK Biosciences. The EU drug regulator's announcement is also an endorsement of the Federal Institute for Drugs and Medical Devices' (BfArM) decision last month to ban the sale of 80 generic drugs on account of "substantial deficiencies" in clinical trials conducted by GVK Biosciences, the agency said in a statement. Berlin : Electronics giant Samsung Wednesday unveiled a range of premium devices, including Galaxy Note 4 which will be available in markets from October. The company, the global leader in the smartphone segment, unveiled a new edition in Note series -- Galaxy Note Edge. The Korean company also unveiled a new version of its smartwatch, Samsung Gear, and forayed into new segment of wearable device with Gear VR which can be sported in place of a goggle to watch movie, play games by inserting Note 4 in the accessory. Berlin: Germany's federal prosecutor said today he had opened an investigation over alleged snooping by the US National Security Agency (NSA) on Chancellor Angela Merkel's mobile phone. "I informed parliament's legal affairs committee that I have started a preliminary investigation over tapping of a mobile phone of the chancellor," Harald Range said. The long-anticipated probe, which follows an explosive allegations last year that US spies had eavesdropped on Merkel's mobile in the past, is against unnamed persons, Range said after addressing the committee. Berlin, May 31 : German Chancellor Angela Merkel has backed Luxembourg's former premier Jean-Claude Juncker to become the next European Commission leader, a British daily reported Saturday. "I will now lead all negotiations in the spirit that Jean-Claude Juncker should become president of the European Commission," The Guardian quoted Merkel as saying at the National Catholic Congress in Regensburg. The move has dealt a blow to British Prime Minister David Cameron's attempts to block Juncker from taking up the role. Berlin, May 31 : German Chancellor Angela Merkel Friday sent her congratulations to Ukrainian President-elect Petro Poroshenko and pledged continued support for his country, a government statement here said. In a telegram to Poroshenko, Merkel said the presidential elections in Ukraine were an impressive sign of the Ukrainians' will to promote freedom and self-determination in their country with democratic tools, Xinhua reported. Merkel encouraged the new president in his goal of strengthening cohesion of the Ukrainian people, saying the German government would continue its support for his country in the future. Berlin, May 15 - Custodian Oliver Baumann moves from Freiburg to Hoffenheim, both clubs confirmed Wednesday. Hoffenheim confirmed their second new arrival as Freiburg's custodian Oliver Baumann joined "1899" by putting pen to paper on a deal until June 2018, according to Xinhua. Berlin, May 14 - Eintracht Frankfurt left-back Constant Djakpa agreed on a contract extension until 2016, the German football club said in an official statement. Ivorian international Djakpa extended his current contract on Tuesday for two more years with the German Bundesliga team, reports Xinhua. "Especially in this season, Constant has showed how important he is for the team. Therefore, it was clear to us that we want to renew his contract," Frankfurt's sporting director Bruno Huebner said. Berlin, May 13 - Bundesliga team Bayer Leverkusen signed striker Josip Drmic from relegated Nuremberg until 2019. The Swiss international put pen to paper Monday on a five-year deal to stay with the 'Werkself'. The striker joined Nuremberg in July 2013 to score 17 goals in 33 appearances, reports Xinhua. However, Drmic's goals were not enough to help Nuremberg stay in Germany's top flight. Leverkusen's 21-year-old new arrival will now play in the Champions League playoffs instead of second division. Berlin, May 12 : Thomas Tuchel has resigned as Mainz coach with immediate effect a year before his contract ended with the German football club. A day after the Bundesliga season ended, Mainz announced at an official press conference Sunday that coach Thomas Tuchel asked to be released from his contract prematurely, reports Xinhua. Tuchel informed club manager Christian Heidel in January about his resignation. However, the club and coach agreed to keep silent until the end of the season. Berlin, April 2 : Lufthansa pilots began a three-day strike Wednesday, kicking off the biggest protest action in Lufthansa's corporate history and majorly paralysing air traffic of Europe's largest airline. However, local media reported no chaos at Germany's two largest airports, Frankfurt and Munich, as a spokesman from the latter described the situation as "manageable", Xinhua reported. The spokesman said the people were well informed and things were calm in the terminal. Berlin, March 25 : Scientists have linked inadequate or disturbed sleep to the development of metabolic disorders, including diabetes and type 2 diabetes, in a review that highlights the significance of addressing sleep issues. Addressing poor quality sleep should be a target for prevention and treatment of these disorders, said authors of the review published in The Lancet Diabetes and Endocrinology journal. "Metabolic health in addition to genetic predisposition, is largely dependent on behavioural factors such as dietary habits and physical activity.